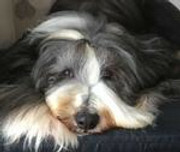 Happy Birthday Max, hope you are having a lovely day and are being spoilt rotten Looking good girl!!! Sue, Georgie & Flynn, and always thinking of Mads & Dylls. Gerrie Two Tins - chicken wrangler. Mistress of the Flock. Keeper of the Kitchen Garden and Mistress of the Kennel. Hi Max, hope you got the mail. We hope you had a great day, free from ALL restraint, doing all the things you want to do but possibly shouldn't. Forever in our hearts, our boy Rummage, our lovely girl Ina & our gorgeous Tao, & floofy Barney & Princess grumpy Sally, playing together at Rainbow Bridge. 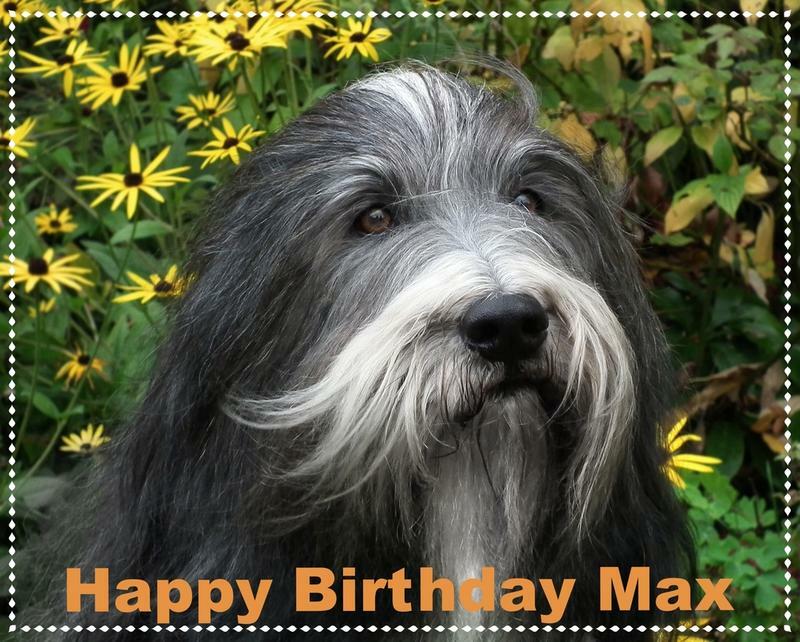 Happy Birthday Max and sod the diet it is only your birthday once a year So glad you have had a good day. HAPPY BELAYED BIRTHDAY MAX!! So pleased you had a lovely day and ate the things you shouldn't have, as you say Bugger it, only comes once a year! I feel ten years older any Birthday now. This is a belated happy birthday from me too, I've only just seen this now! Lots of hugs and licks from the Ardeche! Nina, Foxy Lady, Miss You, Biba & Naïs (Noisette forever in my heart). © Friendly Beardie Club, All Data and Photographs are protected by C opyright of their respective owners.